El Salvador is a hidden gem in Central America; not only for surfers but for the everyday explorer. US State Department Travel Alerts give travelers the perception that the country is violent and dangerous; however you just need to be cautious of your surroundings like any place in the world. The best parts of El Salvador are the people, the food, and the scenery. San Salvador, the capital is special because the city integrates botanical charm with historic landmarks along with a hint of modern design. Weather: The weather is pleasant all year round however the humid/rainy season lasts from May - October, and the dry season starts November - April. Basic Style Etiquette for Men and Women: Business casual attire is generally preferred if you are not going to the beach or hiking. Lightweight clothing is recommended due to the heat and humidity. For other activities: Pack beach and hiking/workout attire for other activities. Culture: Salvadorian people are very friendly people and love to entertain. Family is a very important part of their daily lives. Shopping: Versatile clothing is necessary to combat the transition from work to play - from city to beach - from day to night - hot to cold. Papilia will provide you with shopping suggestions prior to your departure. Hike a Volcano: El Parque Boqueron is about 15 minutes from San Salvador. The views of the city are breathtaking from the top of the crater. If you are interested, a tour guide can take you to hike the volcano. The entire journey takes approximately 6 hours; so plan to make a day out of it. Be sure to dress in athletic attire and bring a jacket due to change in altitude. Sail on the Seas of Lake Cotepeque: There is nothing more beautiful than sailing on the blue seas upon a crater lake in San Salvador. The stunning views of sea, sails, alongside the country's natural landscape will leave you wanting to visit this country time and time again. Side note: Certain areas of the lake are for club members/private access only. 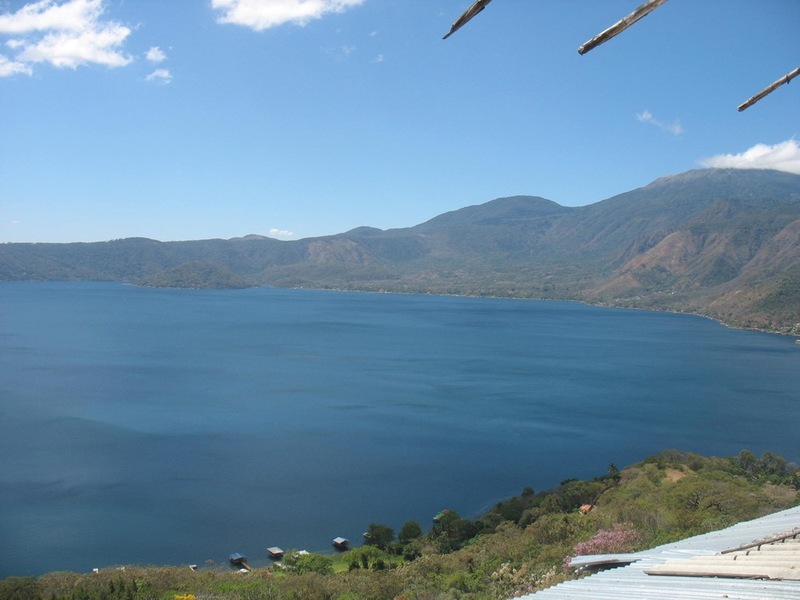 Talk to your hotel about arranging a visit to Lake Cotepeque. El Zonte Beach: The beaches are only 30 minutes away from San Salvador. To maximize your time at the beach on weekends you must depart the city by 9AM so you do not get caught in traffic. If you plan to return to San Salvador over the weekend, depart from the beach at noon or 8PM to avoid traffic. Papusas filled with cheese and chorizo with a side of coleslaw are an absolute MUST. There’s nothing like the taste of a fresh corn entrapped treat. The seafood is outstanding, and the ceviche is a another must if you want to try fresh shrimp, fish, and squid. If you are in the mood for steak with a view, La Pampa on El Parque Boqueron is your venue. AND if you LOVE tropical fruit, it’s your change to indulge in mangoes, papayas, rambutan, and sandias. Gourmet Express is a fanatic delivery service which offers over 50 menus; guaranteed to satisfy your craving. Safety Tip: Do not walk anywhere after the sun sets. Call a reputable taxi from your hotel.